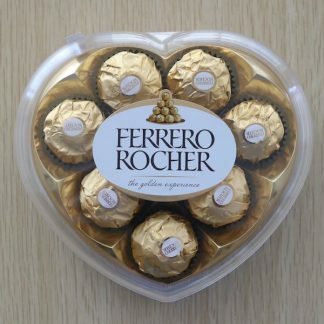 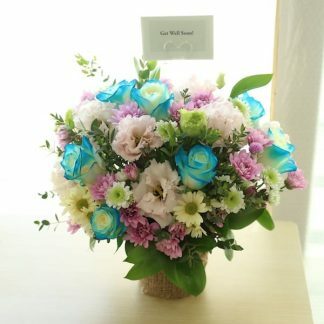 Parent's Day, I'm Sorry, I Love You, Thinking of You, Anniversary, Birthday, Congratulations! 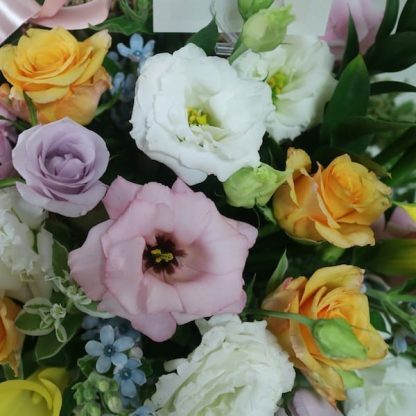 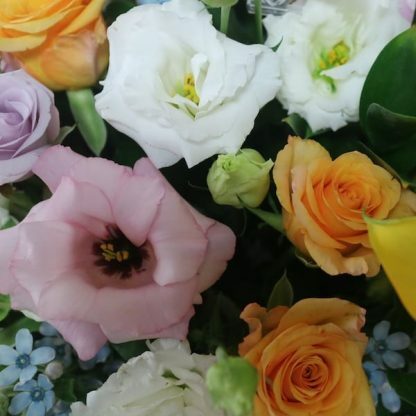 30-40 assorted pastels of Roses, Lisianthus, and Carnations, 3-5 yellow or white Callas, 2 pink hydrangeas, seasonal white and pastel fillers, and assorted greens. 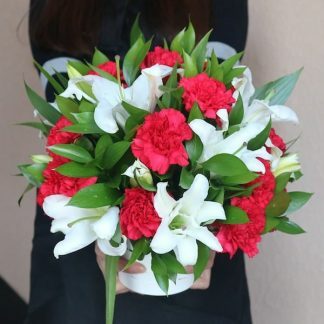 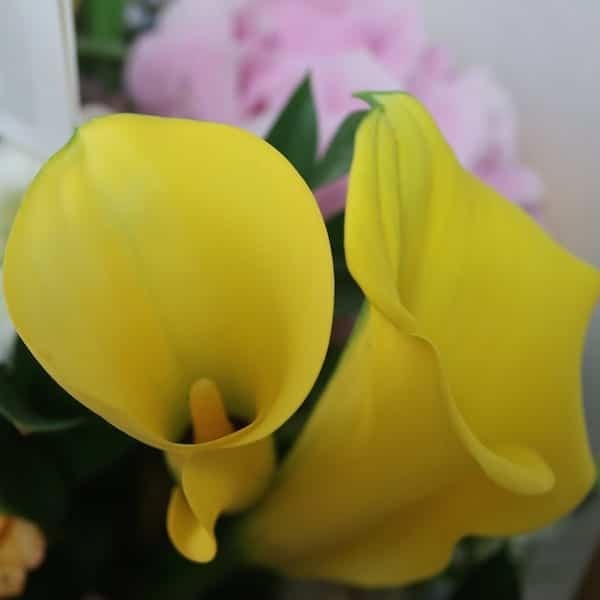 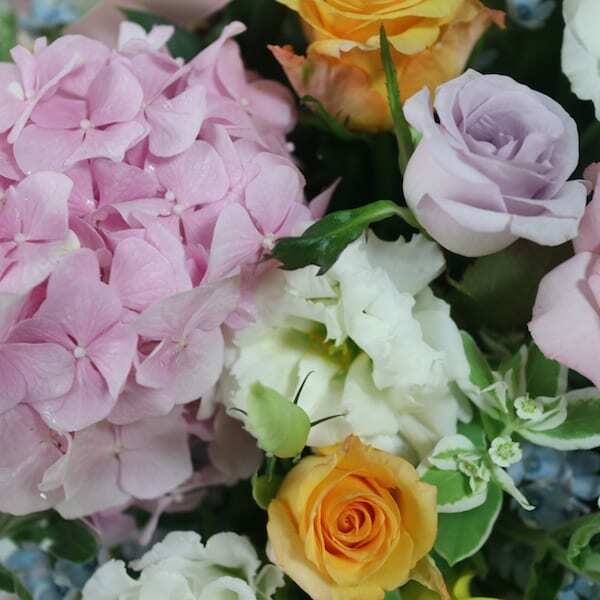 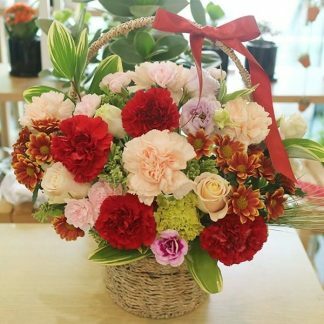 *Other pastel flower colors can be substituted depending on the availability of the flowers. 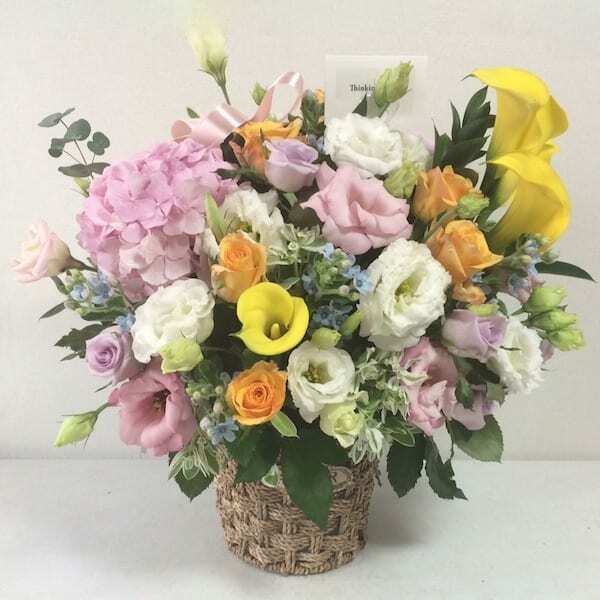 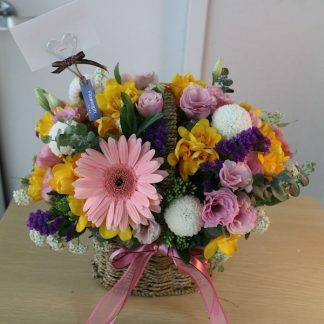 For example, the basket can contain yellow roses and purple lisianthus instead of what is shown in the product images. 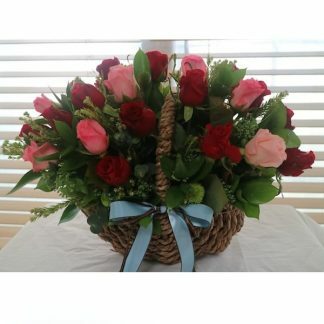 No extra Taxes, FREE basket/wrapping, FREE Personalized card!